Appeal to the governments of Russia and the USA to start cooperation in the development of Global Peace Science as a common platform for “nuclear zero” and the world pacifization* providing planetary security. Our Appeal to you contains a number of sections – steps of understanding for necessary and possibility of the Copernican revolution of the Russian-American relations, which are the key to save the lives of the two nations and humanity as a whole. Using Einstein’s words, we can say that “peace between the US and Russia cannot be achieved through violence, it can only be attended through understanding.” The highest form of understanding global peace is the jointly recognized science of global peace. The traditional ideologies were powerless to end the war. They have brought mankind to the very brink of nuclear war, in which, as we know, there can be no winners. It will be only a victory of death over life. The past 70 years after World War II’s end are passed under the sign of threatening exacerbation of the Russian-American nuclear standoff. The dangerous peak and limit threat of nuclear war, which cannot be further tolerated if the nuclear Powers and humanity are going to save lives, not to destroy each other, have been made the US/NATO military Summit decision in Warsaw on July 9, 2016 to deploy military infrastructure, including nuclear, along the western border of Russia. This decision implements the US Congress Resolution 758 on December 4, 2014 about preparation of the war against Russia involving 28 NATO countries in this preparation. The whole world is alarmed today with the United States and Russia extreme level of nuclear confrontation, more dangerous than the Cuban Missile Crisis 1962. It is caused by three most menacing facts. The first. Deployment of NATO nuclear weapons and the accompanying infrastructure on Russia’s western border that reminds to the Russians the Hitler’s concentration of the Nazi troops within an aggressive plan Barbarossa in 1941. Now it is in 2016 – 75 years later. The third. Traditional, since Hiroshima/Nagasaki 1945, US policy, which allows the first use of nuclear weapons. “Throughout the nuclear age, presidents have allowed their senior commanders to plan for the first use of nuclear weapons…” This underscores the Pentagon’s former military experts James E. Cartwright and Bruce G. Blairaug (http://peacefromharmony.org/?cat=en_c&key=706). To stop approaching this point and turning its movement backward can only intensively develop peace cooperation between the two countries. Examples of this are: this is the Apollo–Soyuz Test Project (ASTP) 1975 and the subsequent cosmic cooperation, which prevented the proliferation of nuclear weapons in near space. Today new effective efforts in their cooperation and in the new innovative areas are needed. Where is the way out to peace today in the US and Russia nuclear confrontation? Who and what can show the way out? The Copernican revolution of US-Russia relations, in whose hands are humanity’s nuclear keys from the realm of the dead Hades, demanding a Copernican revolution of thinking, which was accomplished by Global Peace Science, published in Russian and English in 2015/2016 respectively. The effective mutually acceptable way out and promising area of cooperation could be joint development of Global Peace Science (GPS). The GPS first version, after many years of work was completed in 2016 by 174 co-authors from 34 countries with the participation of 59 scientists and peacemakers from the United States and 33 – from Russia (http://peacefromharmony.org/docs/global-peace-science-2016.pdf, p.6). This work in fact marked the beginning of cooperation between the two countries in the crucial field of global peace as the best security for all. The further joint development of GPS will create a common scientific platform not only for “nuclear zero” and the geopolitics of peace but also a new level of understanding, thinking and culture of global peace and partnership of countries in humanitarian sciences. GPS found presentations on all continents and was sent to the United Nations (and UNESCO), together with a corresponding petition for discussion at the General Assembly (http://peacefromharmony.org/?cat=en_c&key=686). 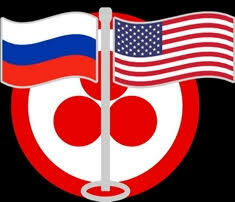 For the Program of cooperation between the two countries in this field, we offer the title “Russia and USA. Global Peace Science as Platform of ‘Nuclear Zero’, Pacifization and Planetary Security.” Briefly: “Russia and USA: GPS” or “Nike” Program from the name of the Greek goddess of victory, symbolizing, in this case, the joint victory of Russia and US over the war. This name is consonant with the name of the first program “Apollo–Soyuz”. The “Nike” Program will begin joint development of a yet unknown social cosmos of global peace with the prospect of unlimited economic and cultural growth through innovative peace technologies. The establishment of a joint Institute of Global Peace Science (IGPS) or Russia-America Pacifization Institute (RAPI) for its development. Two equal compartments of IGPS/RAPI in Russia and USA are assumed. Organization in 2017/2018 through IGPS of an International Scientific Contest for the GPS best variant (see Contest rules in GPS Chapter 8.21). Global Peace Science (GPS) and holistic strategy of pacifization (reconciliation through harmonization) of international relations in geopolitics. New scientific technologies of pacifization/harmonization based on GPS: universal statistical digitization and informatization, globalization, economic growth, democratization, institutionalization, monetization, intellectualization, personal harmonious growth, harmonious education and the like. Constitution of the Earth Federation as a Global Peace Constitution: the highest instrument of international law, ensuring global peace based on social harmony, equality of nations and justice for all. The primary nuclear disarmament to “nuclear zero” for 10 years, until 2030, and to get the nukes off of hair trigger alert. Global disarmament for 50 years via annual reductions of global military spending of 2%, starting since 2020 or 2030. The scientific program of the UN reform on the basis of GPS. Annual International Scientific Conferences dedicated to development of GPS. The principle and the agreement: “Global Harmony as the Absolute Guarantor for World Security” (Terrence Paupp, 2010: http://peacefromharmony.org/?cat=en_c&key=254). Harmonious multipolar world order based on science (GPS). (For another edition of this Agenda you can see below**). All items of the Summit approved agenda will make a strategic Program of the GPS Institute (RAIP), which will be the long-term program of peaceful humanitarian cooperation between Russia and the United States***. This will be a constructive scientific “Roadmap for Global Peace”, free from traditional peacemaking demagogy, which has been helpless in preventing all past wars. It will give to humanity a solid hope for maintenance of its first right to life through prevention of nuclear war and disarmament up to “nuclear zero”. It is the hope to witness a consistent scientific solution of all global peace challenges until full disarmament before the end of the 21st century. A similar optimistic hope of mankind, weary with nuclear threat since 1945, will be present thanks to the two great nuclear Powers, which will find in it an inexhaustible source of inspiration and enthusiasm for self-renewal, rebirth, new common dreams and a national/global idea of realignment of the world order architecture in multipolar harmonious spirit. Russian and US cooperation programs in the development of GPS will be implementation of the great UN covenant in its Charter: “That since wars begin in the minds of men, it is in the minds of men that the defence of peace must be constructed.” The GPS joint development by Russia and the USA as a deliberate Copernican revolution of consciousness for an overturn of their relationship and preventing global nuclear collapse – this is the best rooting of the strongest peace defence. Using the terminology of Brzezinski, the revolution of consciousness for nuclear Powers in the development of GPS is the emergence of “a new historical narrative” and scientifically “realigning the global power architecture” in the 21st century (http://www.the-american-interest.com/2016/04/17/toward-a-global-realignment/). Therefore, the development and use of GPS are equally important for the sustainable development and realignment of relations between two largest nuclear Powers – Russia and the United States, as well as for the fate of humanity in the 21st century. ** Russia – USA: Global Peace Cooperation, Dialog and Partnership instead Nuclear War Deadly for Humanity. Global Peace Summit: USA-Russia. Social cosmos of global peace reality. Its objective pillars: Spheres, Laws and Actors of World Harmony. Global Peace Science (GPS): Researches of its objective pillars, scientific peace geopolitics and pacifization of international relations. The right of humanity and every person to life, to peace and to freedom from war, especially from nuclear annihilation and from its threats from any state. Joint Institute of GPS (Pacifization Institute) with offices in Russia and the United States to explore the objective pillars of global peace and substantiation of humanity right to life. International Scientific Contest for the best variant of GPS under the UN and both states’ aegis. Scientific technologies of pacifization and peace geopolitics in the social, economic, environmental, cultural and organizational spheres/fields. Scientific basis for nuclear disarmament up to global “nuclear zero” during 10 years (or immediately). Scientific basis of the Earth Constitution as a Global Peace Constitution: the highest instrument of international law. Global disarmament for 50 years based on GPS. Scientific rearrangement of the global power (including the UN) architecture and building a multipolar world order, ensuring global peace since the end of the 21st century. Anticopyright: Editorials and articles originated on TMS may be freely reprinted, disseminated, translated and used as background material, provided an acknowledgement and link to the source, TMS: Russia-America: Copernican Revolution of Relations Instead of the Insanity of Nuclear War, is included. Thank you. in this week Chinese President Xi Jinping said China should build itself into one of the innovative countries by 2020, a leading innovator by 2030, and the best country in the world in the development of science and technology by the 100th anniversary of the founding of the PRC in 2049. All the listed issues (1,2,3) are stated to be American in origin? I’m sure we could make a similar list of causes that have their origin in Russia as well. The Russian invasion of Crimea, the crimes against Russia’s neighbors and the slow slide into autoritarian Russia governments are just as big reasons for the current climate. Bot Russia and the US have responsibilities and need to work towards peace.